Did you know there is a less powerful variant of the NVIDIA GeForce MX150? There is apparently a less powerful variant of the NVIDIA GeForce MX150 and neither NVIDIA or the laptop makers differentiate between the two GPUs. NVIDIA GeForce MX150 is an entry-level GPU which has been available for quite some time now. It is available in entry-level mainstream laptops like the Asus VivoBook S15. However, Notebookcheck has reported that there is also a less powerful variant of the GPU powering some laptops. The newly found variant has different PCI ID aka ID12, and the standard GPU is denoted by ID10. The newly discovered GPU has 36% slower base clock speed compared to the original and 32% slower boost clock speed. There is a difference of 17% in the memory as well. The annoying bit is neither NVIDIA or either of the laptop makers have differentiated between these two GPUs. The difference is likely to be related to power management as Notebookcheck reports that the less powerful variant of the chip is meant to be used on thin and light laptops. The NVIDIA MX150 GPU uses a Pascal microarchitecture and was a replacement for NVIDIA’s ageing GeForce 940M GPU. The mobile GPU (MX150) was introduced last year and has been used by various OEMs since. However, we are not sure when the new slower variant made its way to laptops. According to Anandtech, which dug into the matter further by checking Ubuntu Certified Hardware Database, which documents these changes, the development goes back several months. The repository identifies the ID10 chip as GP108 and the ID12 chip as GP108M. Notebookcheck notes that currently, the newly found slower GPU is present in the ZenBook UX331UN, ZenBook UX331UA, Mi Notebook Air 13.3, Envy 13, and IdeaPad 320s. 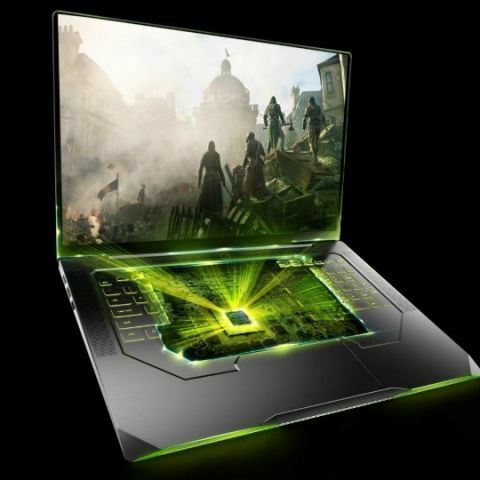 All this turns out to be a big issue for new laptop buyers and casual gamers who are looking to buy a new laptop with NVIDIA’s GeForce MX150 graphics. So, we would suggest to thoroughly check which version of the GPU the laptop has before buying. Did Nvidia CEO just reveal the Apple tablet? Does anybody know the price of Nokia 515 and is it a smartphone ?